Since the release of ‘Kiss From The Past’ on June 13th 2011, the rumor mill on the internet forums has been in overdrive. Allure was back – and how! A full-on artist album, distributed in over 20 countries: no less than 14 pure unadulterated trance tracks featuring familiar former Allure vocalists like Christian Burns, JES and Emma Hewitt. Tiësto’s tweet “Listen to my @allurelive project which I am involved in” fueled the already piping hot discussions even more. As the title hints, the legendary producer Tiësto, who has been involved with the Allure project since its inception, wanted to say both goodbye and hand on the torch to the next generation. 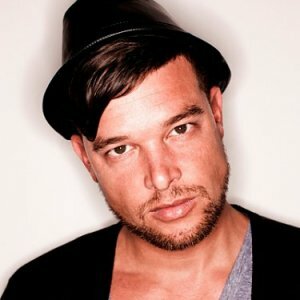 Ever since the very first release in 1998, Tijs Verwest along with others has been involved in the project. But as his artist career has evolved talking him in a new exciting direction, he wanted to thank all those who had supported the Allure project, and step aside and allow a new generation to emerge. The guy on the podium is the one to watch from now on. Stepping out of the dark, from behind the curtain into the bright laser lights, he is ready to conquer the world and allure all of you into his world of angelic sounds, mesmerizing melodies and captivating beats. You will see and hear more of him soon. Very soon. Sealed with a kiss from the past and the future at his feet: trance family, please welcome Allure!